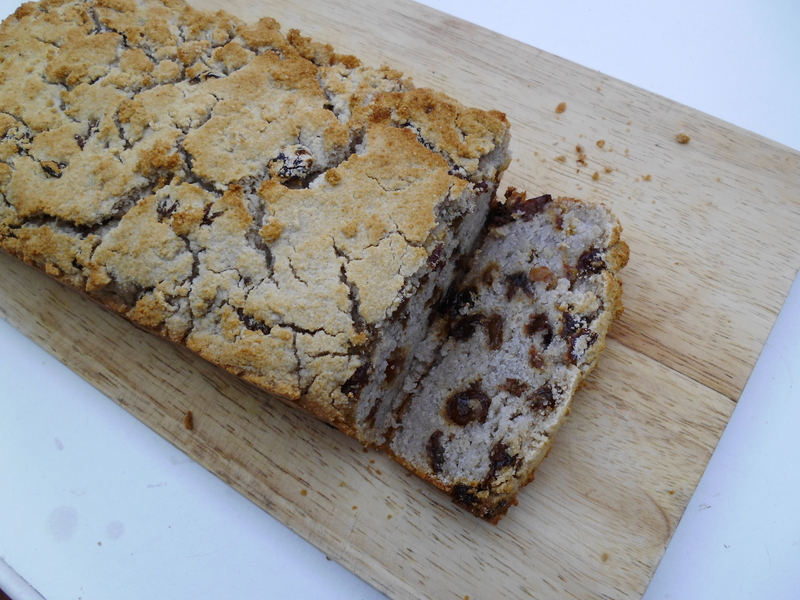 This delicious, sweet, fruit bread is so easy to make and has the health benefits of being gluten and dairy free. It is tasty sliced and served with strawberry jam. It did not last long in our house! Add the dry ingredients and the raisins into a large bowl. Wash your hands. Make a well in the middle of the flour and add the water. Mix the ingredients together using your hands. Now leave the dough to rise for an hour an a half until it has doubled in size. Next grease a bread tray using the coconut oil. Place the dough into the bread tray and bake in the oven for 35 minutes. Leave the bread to cool for 5 minutes then place on a wire rack. Once cool slice the bread. Store in a cool, dry place and eat within 3-4 days.